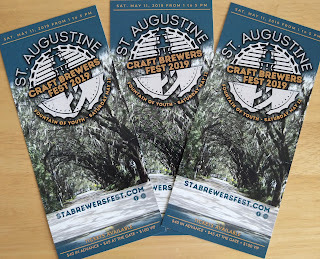 St Augustine Craft Brewers Fest: New Event in the Nation's Oldest City ... Dig It! 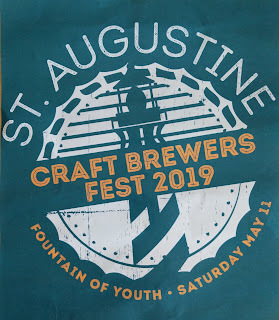 April 15, 2019: St Augustine might be best known as the "nation's oldest city," but it also has quite the reputation for festivals and events, which draw crowds from throughout the country. From the acclaimed Nights of Lights during the holiday season to Spring food and music festivals to local events hosted by charitable organizations, there's always something to do, eat and listen in the historic town. The St Augustine breweries are adding "beer" to that list, with the inaugural St Augustine Craft Brewers Fest, taking place on Saturday, May 11, 2019 at the Fountain of Youth Archaeological Park. Planning for the beer fest began in early Winter 2018, according to lead fest organizers Doug and Courtney Murr, co-owners of Dog Rose Brewing, located just off the downtown area of St Augustine. 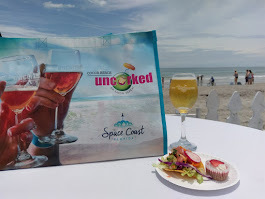 With The Players Championship move to March from May and the early Spring Florida beerfest season having already run the majority of its calendar, organizers saw an opportunity to "fill the void" with an event in May that could grow into that time slot in the years ahead. 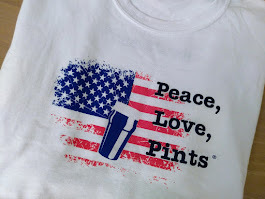 With Memorial Day and Summer just on the horizon, a beerfest is a natural! After considering a few locations around town, the Fountain of Youth dovetailed into a perfect fit as a venue. The beerfest intends to set itself apart from other beer and general events, said Doug, with the unique location on the grounds of the historic and scenic Fountain of Youth park. The idea isn't to "recreate a beerfest," he added, but to bring an event "that belongs to the community." Even though they are looking for the beerfest to be "big and awesome" the first time around, organizers expect to grow the fest over the years. Attendees have a choice of VIP or general admission ticket options. 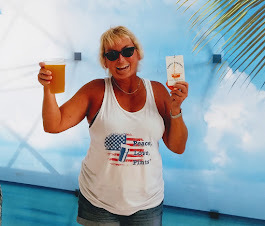 Not only does the VIP ticket add an early extra hour, there are additional perks that come with the upgrade, including guaranteed parking at the park, access to the covered and climate-controlled Pavilion (with private restrooms, alas! ), an afternoon food buffet, and St. Augustine Distillery bourbon tastings. Only 100 VIP tickets have been released, and the expectation is that VIP ticketholders will be highly satisfied with that option, in view of all of the extras offered. The Pavilion recently underwent renovations that included the enclosure of the building with large windows allowing for breathtaking views of the surrounding natural setting. UPDATE: 11/17/2018: Nights of Pints got underway on Friday, 11/16, with kickoff events at each of the four breweries, and Keepers of the Coast on site at each, as the event charity partner. The new event shirts are now on sale, and the beers released! Get that shirt and go! New Shirts on display. 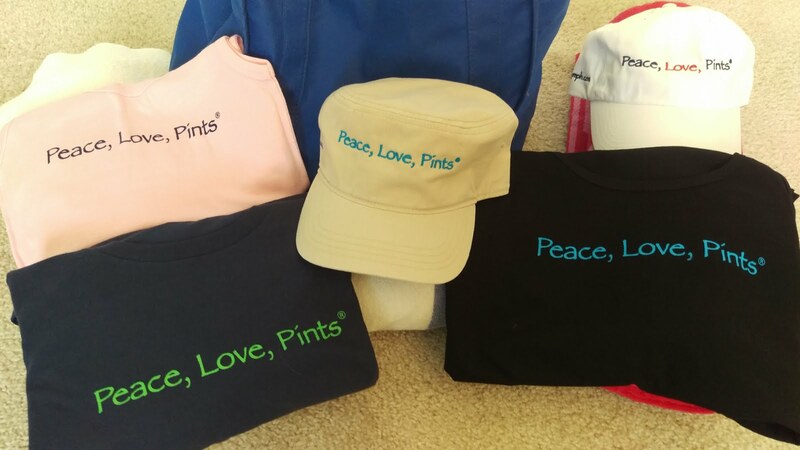 Take a look at the sizes, then buy one! 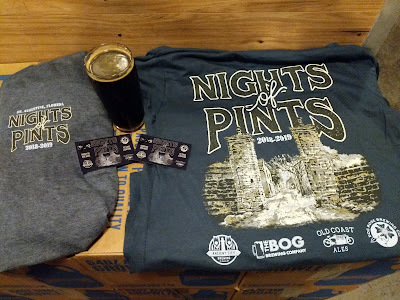 Bog Brewing with Ancient City Brewing. 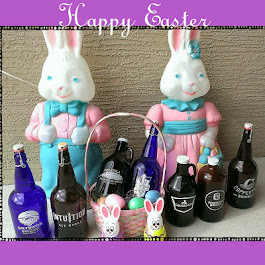 Beer available ONLY at Bog Brewing. November 11, 2018: HoHoHo, the Holidays are here! 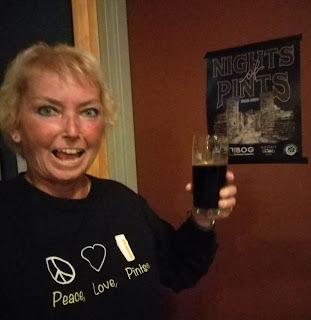 It's time to "lighten up already," as St. Augustine's four breweries bring back the popular Nights of Pints visit-your-local-brewery travel program for the second year. Designed to coincide with the city's famed annual Nights of Lights twinkling holiday display featuring millions of lights shimmering around the downtown, Nights of Pints is a fun respite from the walking and hiking -- after all, hydration is a necessity! 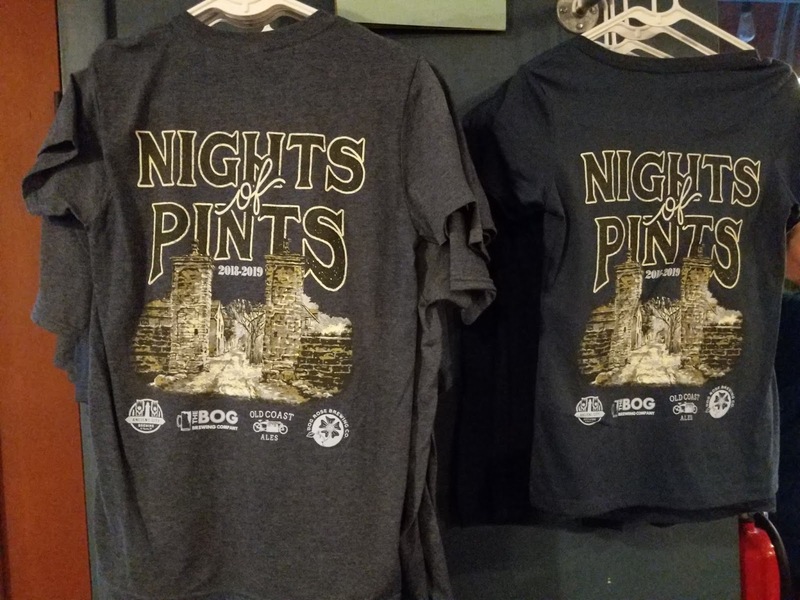 Participation is easy: just purchase your official Nights of Pints event shirt (cost: $30) at any of the four local breweries, and get your passport punchcard good for a beer at each brewery. 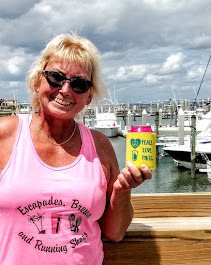 Then, walk around more, sip a beer, and head over to the next one! 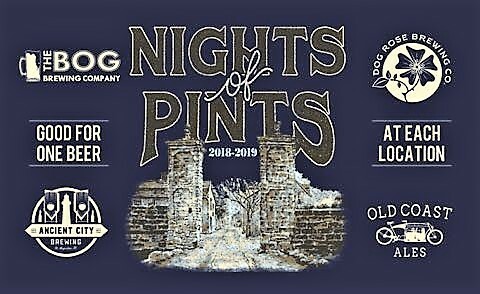 The 2018 Nights of Pints passport punchcard. 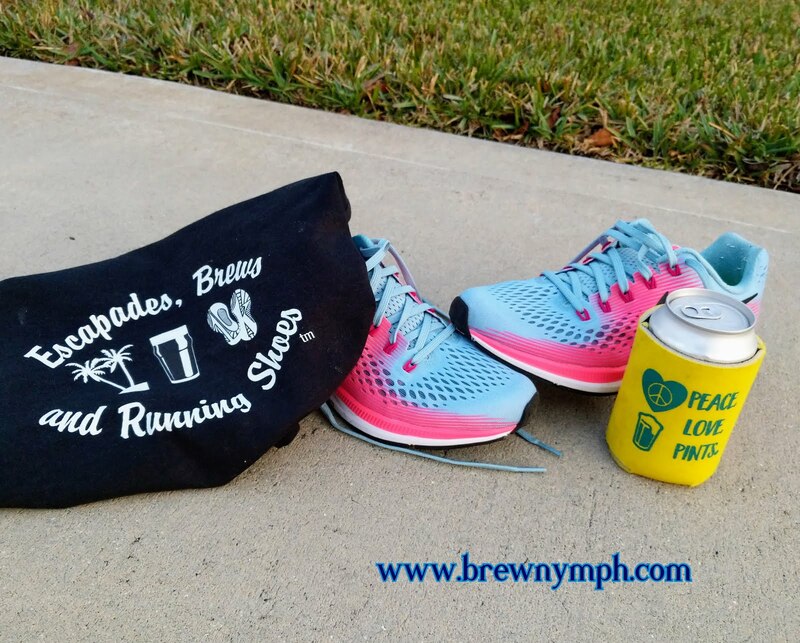 With all of the walking, you'll be ready for a beer! Dog Rose Brewing: update: Fezziwig Brown Ale with Orange Zest brewed with Bog Brewing.